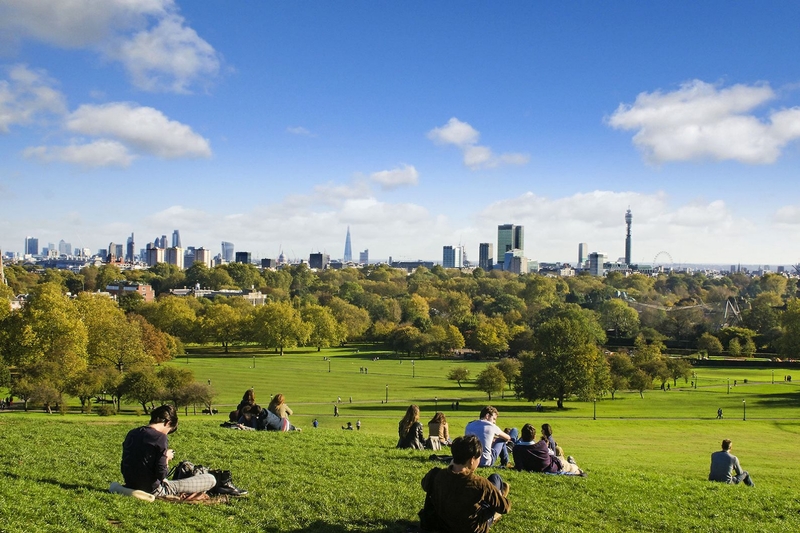 Primrose Hill Area Guide - What makes Primrose Hill so great? Where do Primrose Hill locals go? Wandering through one of the many stalls in Camden Market, there's always something to catch the eye! Share your favourite place to go to in Primrose Hill. "During the Second World War, German prisoners were ordered to dig up Primrose Hill so that it could be used to grow vegetables on." What do you think of Primrose Hill? Primrose Hill is a hill of 256 feet (78 m) located on the north side of Regent's Park in North London, and also the name for the surrounding district. The hill has a clear view of Central London to the south-east, as well as Belsize Park and Hampstead to the north. The built up part of Primrose Hill consists mainly of Victorian terraces. It has always been one of the more fashionable districts that lies between the core of London and the outer suburbs, and remains expensive and prosperous. Primrose Hill is an archetypal example of a successful London urban village. What are your favourite things about Primrose Hill? Find out how much your flat or house is worth om Primrose Hill. Feedback about living in Primrose Hill has been submitted directly by the public and may not neccessarily reflect the views of Foxtons. The description of Primrose Hill was modified from Wikipedia and is available under the Creative Commons licence. Land Registry data is Crown copyright. All the views and contributions contained within Foxtons Local Life are those of the contributors. All content is assessed before publishing for taste, however free opinion is encouraged. Foxtons accept no payment or sponsorship for content that is posted about Primrose Hill.